Home / Product / Deco Yellow Vine Carved Vintage Round Frame 9"x9"
Deco Yellow Vine Carved Vintage Round Frame 9"x9"
These frames are made up of high qaulity wood which is termite and pest free.. 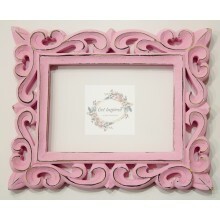 This wood material will keep these frames durable and long lasting for many years without any maintenance! 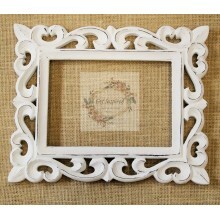 This Package contains one Deco Yellow Vine Carved Vintage Round Frame 9"x9" By Get Inspired. Delivery Time : 3-4 business days.